With this Plastic Storage Bucket with Lid, you can safely store your extra irrigation parts for repairs and/or expansion. 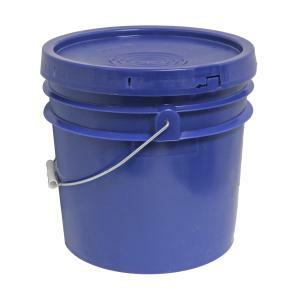 This durable plastic pail is made of high density polyethylene. Withstands temperatures up to 180°F and is FDA compliant. See approximate measurements of buckets listed in attributes below description.